When Tech Data becomes your single provider for all in-or-out of warranty maintenance and end-of-life support, your end-users experience quality services delivered by highly responsive technicians who are multi-platform certified. Our extensive network of certified engineers keeps your customers up and running for in- or out-of-warranty products. Minimize your customers’ downtime and offer maintenance—without the hassle of multiple third-party vendors. Our certified experts maintain your customers’ technology to your high standards. With expert post-warranty support, easily re-engage with your customers at time of refresh. Your brand is your company’s identity. Trust your certified maintenance support to a brand as reputable as yours. We deliver quality service and can manage extended warranties to keep your customers operating at their best. Reduce costs and free up resources by outsourcing maintenance services to an authorized provider with the right expertise. Tech Data re-captures your customers when they’re ready to renew and brings them back to you for authorized service. Tech Data keeps this telecom company up and running with a powerful blend of product parts, labor and technical support 24/7/365. With Tech Data, you gain complete control of the IT asset lifecycle—from design to disposal and everywhere in between. Avoid unauthorized activities that could pose safety, security and economic risks to you and your end-users, including counterfeiting or the installation of third-party parts, with our unmatched brand protection. When you go beyond the traditional maintenance coverage model, your customers will notice. Tech Data has the ability to handle all of your customers’ on-site and remote maintenance needs – whether they’re in a single or multiple locations - all under one contract. Our certified technicians ensure an exceptional customer experience across the lifecycle of your products. Having a single point of contact reduces expenses and mitigates risk. We ensure your customers have a seamless, high-quality experience as our dedicated team manages the entire project scope, all with a single provider. We offer full end-of-life services for your customers’ aging assets. Let a trusted partner help you get the most value out of your investment, while safely and securely disposing of IT equipment in an economical, eco-friendly way that complies with data destruction and security laws. Tech Data manages your parts in our locations, minimizing your overhead costs and maintaining your inventory levels accurate. We offer secure warehousing at global fulfillment centers, which keeps parts closer to your customers for expedited delivery. We also provide all inventory and transport control for value-added services such as updates and reworks. Your customers need to operate at optimal capacity and don’t need hardware and software issues slowing them down. You can track their equipment through the entire maintenance process. We offer quality data reporting that provides critical information about which parts fail and why. We serve your customers with an established, proven service delivery methodology. Our scheduling, tracking, managing and reporting tools offer greater visibility into the execution of your customers’ projects. You can pull a reporting overview in real time, which offers visibility into the customers’ products that’s customized to fit your needs. 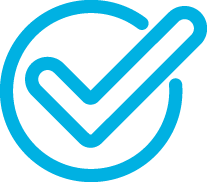 Our service management tools offer insight into installation scheduling and tracking, technician training, open ticket management task reporting, SLA detailed reporting, activity reporting, service completion and much more. Our escalation plan resolves customer issues in a quick, efficient manner. Our Technical Assistance Center (TAC) proactively escalates cases based on priority levels and customer requests. With four priority levels and service ranging from Level 1 to Level 3, your customers receive quality care 24/7/365. We have extensive knowledge of top OEM technology brands and years of industry expertise. This allows us to create a unique and high-quality maintenance experience with established service methodologies and proven delivery methods—including tracking and management tools, technician mapping and installation scheduling. 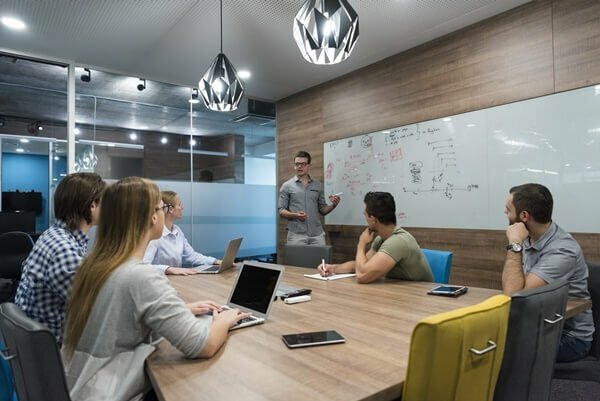 Unauthorized third parties can compromise the integrity of your hardware solutions and pose a risk to not only you, but also to your end users. Our expert technicians and engineers are trained across multiple platforms to maintain the most complex of IT infrastructure and bridge the gap for your customers. When they’re ready to make the next upgrade, we bring them right back to you. 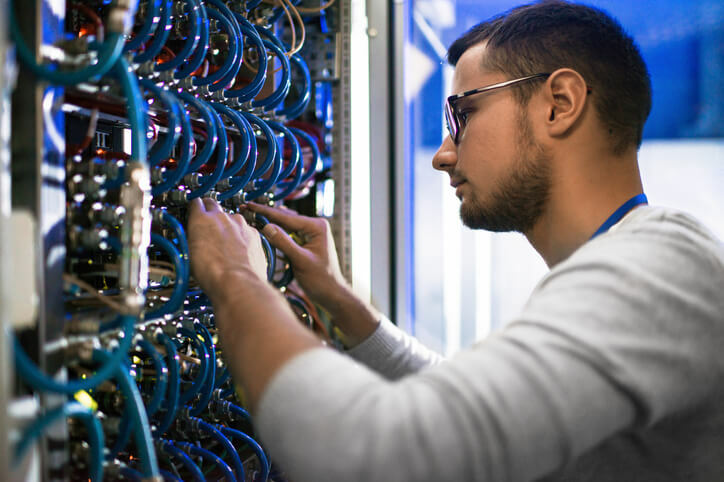 Certified engineers across multiple OEM technologies give your customers the exceptional experience of expert maintenance in a multi-vendor environment. We protect your brand and technology from counterfeits as an authorized OEM maintenance provider. 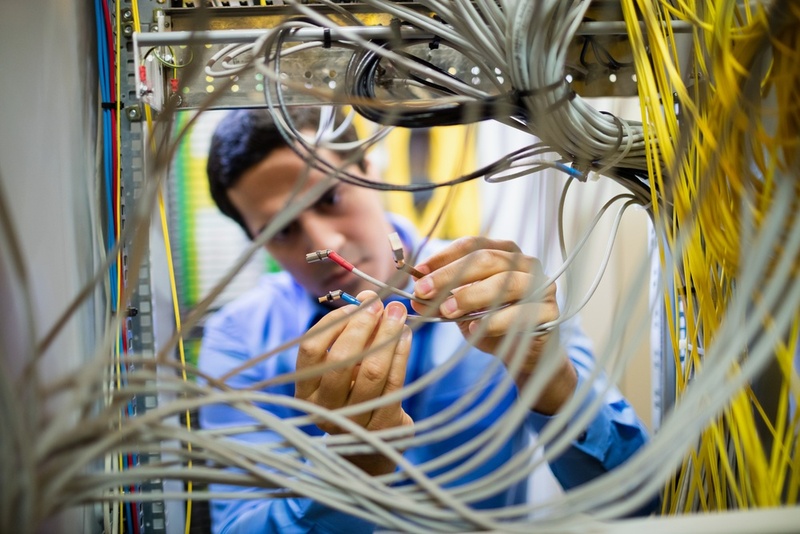 Your customers’ IT infrastructures are complex. With more than 2,500 certifications in multi-vendor technologies, our engineers are vendor agnostic and can handle the most complex systems out there. 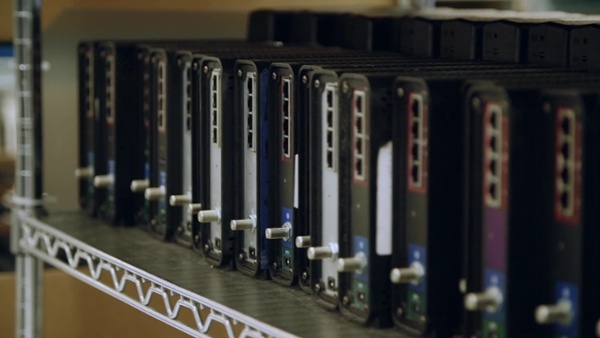 Our engineers are certified and trained on your technology—and on all aspects of maintaining hardware and software. Each team member completes rigorous coursework and workshops for on-site installation, troubleshooting, repairs and installation. We train our teams not only on products, but on how and why everything fits together. Reduce complexity by turning your maintenance services to Tech Data. We transform the way you deliver maintenance by becoming a part of your team. Whether your customers are in or outside of their warranty, we’ve got them covered as an authorized maintenance provider. We provide one contract that covers your customers’ needs, while reducing your administrative work and expenses. We offer needs-based services delivered on your behalf. Our technical expertise and experience allow us to maintain your products as an authorized provider, protecting your brand and delivering exceptional quality. We cover software and hardware needs under your predetermined SLAs. We put the right people in the right place at the right time, serving your customers when they need it most. Our resources enable you to scale up or down—and to choose the coverage model that works best for your customers. Our operational economies of scale offer consistent and reliable services while significantly reducing costs. Our OEM-certified technology specialists offer levels 1, 2 and 3 support. We respond to your customers on your behalf, consistently delivering the right solutions based on the combination of products and services you choose. We train our team to work with your products and respond to requests for support, however they arrive. Our certified technical expertise, gold-standard distribution system, global reach, wide coverage, detailed information reporting and dedicated support teams support your end users’ IT infrastructure. We invest in OEMs to provide support on your behalf and maintain your brand and retention opportunities. Being “OEM-agnostic but OEM-aligned” means we can work in a multi-vendor environment while aligning to each vendor within the environment. 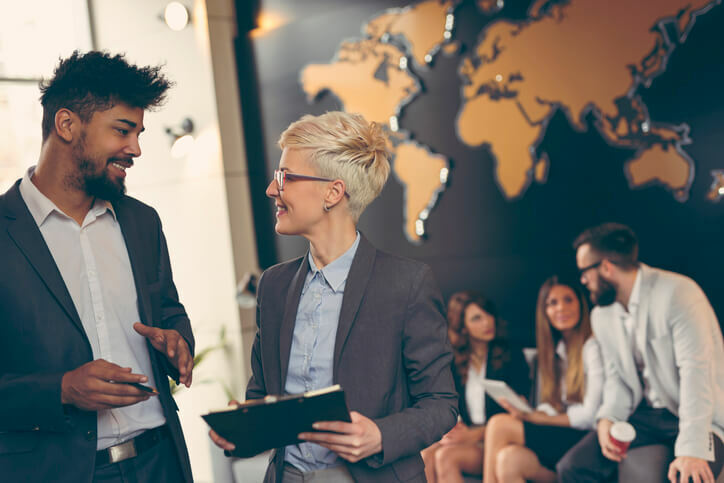 With extensive multi-regional coverage, Tech Data deploys certified technicians to provide preventative maintenance, repair, replacement and other hardware services that keep users working with little or no disruption. Managing the entire lifecycle of technology equipment demands a full spectrum of centrally managed services. 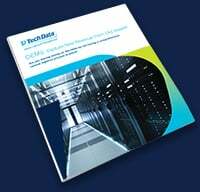 Tech Data has the capability to manage your customers’ entire IT lifecycle from design to disposal. Our team helps you determine the best outcomes for aging technology, then works to extend or sunset these investments, maximizing product value. We reach end-users on your behalf, driving demand and combating the risks of third-party maintenance. We keep your customers close by simplifying or eliminating channels to end-users, allowing you to build and maintain direct relationships. When you make Tech Data your partner, you benefit from our scale, scope, experience and innovative approach. 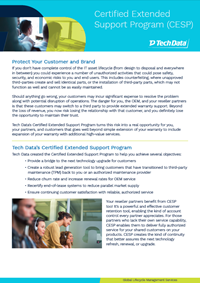 Tech Data boasts in-warranty through end-of-life service programs to maintain your customers’ technology lifecycle needs. We care about your customers’ best interests and deliver exceptional service through our maintenance and support programs. Stay closer to your customers with our single support solution within a multi-vendor environment. No matter what technology your customers use, we have engineers who are trained and certified to work on it. As your authorized maintenance provider, we have the expertise to diagnose issues at the application layer and provide repairs, patches and fixes. Our certified engineers look below the hardware level to find underlying issues. Software analysis allows us to understand the full scope of your customers’ maintenance needs. Recapturing, retaining and recertifying your existing customers is one of Tech Data’s goals when maintaining IT infrastructures. Our technicians are close to your technology, and we’re close to you. 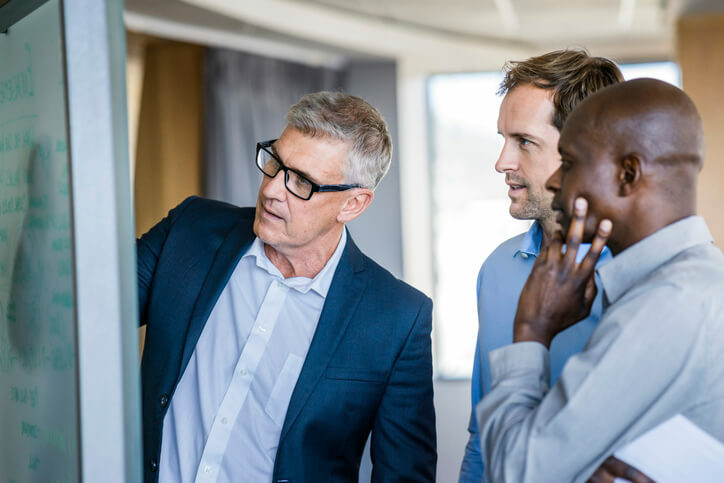 Without expert maintenance, your customers may switch to a third party to provide extended warranty support, so Tech Data turns this risk into real opportunities. We extend and expand your warranty with additional high-value services. In today’s multi-vendor IT environment, unifying support under one roof is almost mandatory. 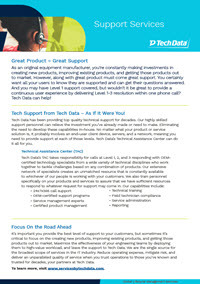 You can trust Tech Data to provide the support services your customers need. 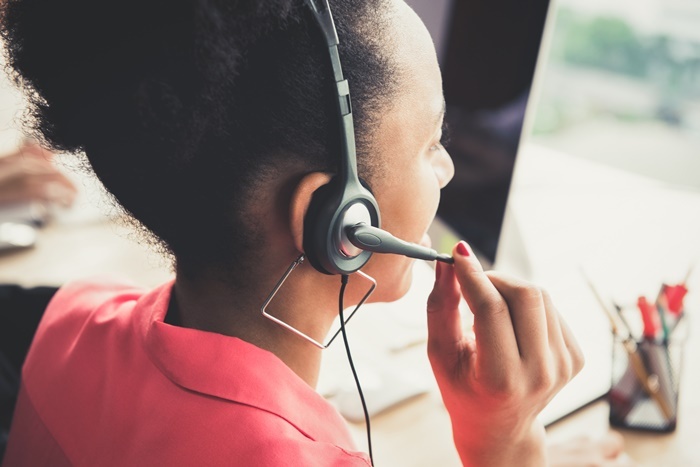 Our Technical Assistance Center (TAC) can take support operations off of your hands with a 24/7/365 infrastructure staffed with OEM-certified experts. Our support services include Tier 1, 2 and 3 help desk support and network and desktop management services.